Use Wishpond’s Twitter Photo Contest App to entice users to share and vote on user-generated photos on a brand’s Twitter Profile Page, website, and on mobile. Try Our Photo Contest App for Twitter Free for 14 Days. Plans start at $19/month, and include every app. 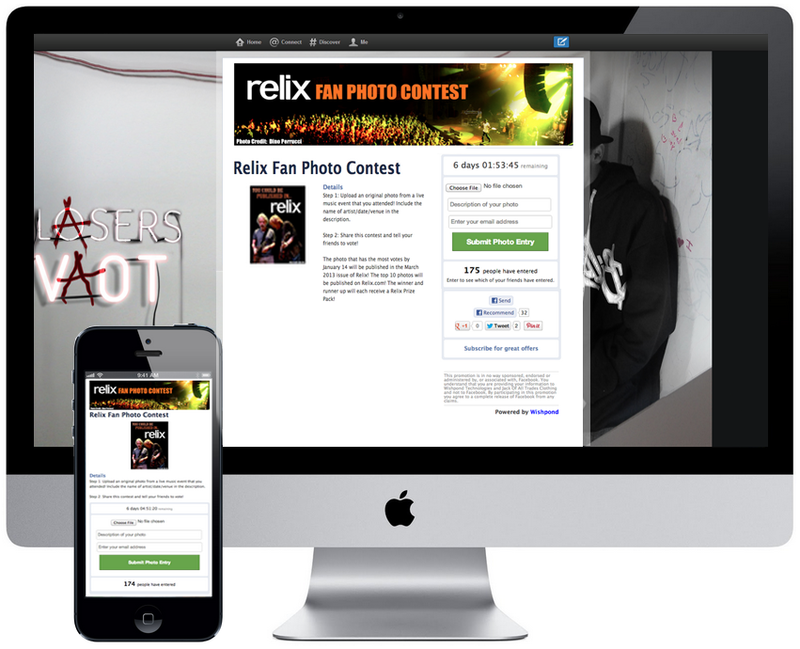 We provide a link to share that directs users to optimized photo contest entry pages for both desktop and mobile users. 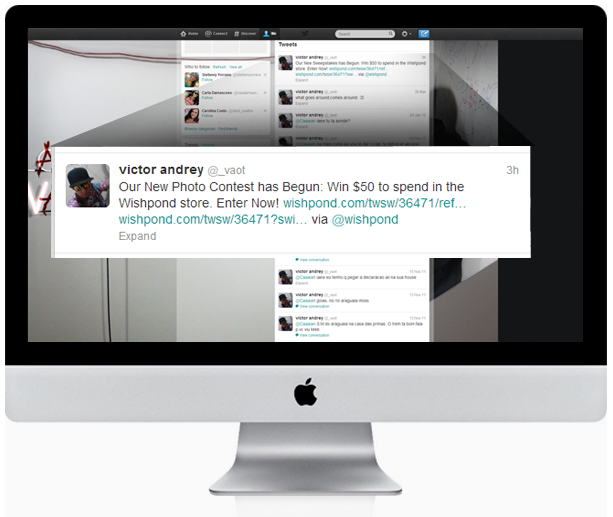 Our Twitter Photo Contest App can also be embedded into your website in addition to – or instead of – your Twitter Page. 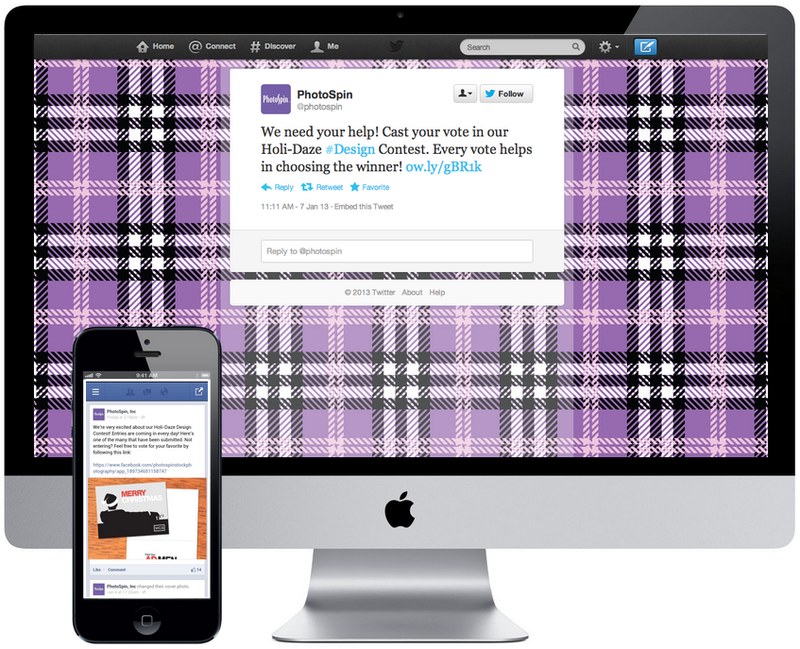 Track campaign metrics in real-time during the run of your Twitter photo contest. Our Photo Contest App is built within all requirements in Twitter’s Promotions Guidelines. Our Twitter Photo Contest App has built-in voting buttons and counters to maximize sharing and engagement. Change every aspect of the Twitter Photo Contest App’s CSS stylesheet to fit your brand. Our Twitter Photo Contest App has been translated into 35 languages, including all user-facing text and share messages. Our Twitter Photo Contest App is built to allow you to have one or multiple winners of your photo contest. Install the Photo Contest App on your Twitter Page or Website, then create your first campaign using our easy Creation Wizard. Each campaign is optimized for mobile automatically. Share it to Build a Seed. Share your photo contest on each of your channels to build a seed for it to grow. We provide a unique link to use in each promotion for the call-to-action to enter. Clicking it directs users to optimized entry pages for your photo contest, depending if they are on a desktop computer, tablet or mobile device. Users Enter & Auto-Tweet an Invite to Friends & Followers to Grow it Organically. Users enter your photo contest by writing in their email address and clicking “Submit Photo Entry” button. Entrants then automatically post a tweet inviting their friends & followers to enter as well. Collect Emails & Track Results. 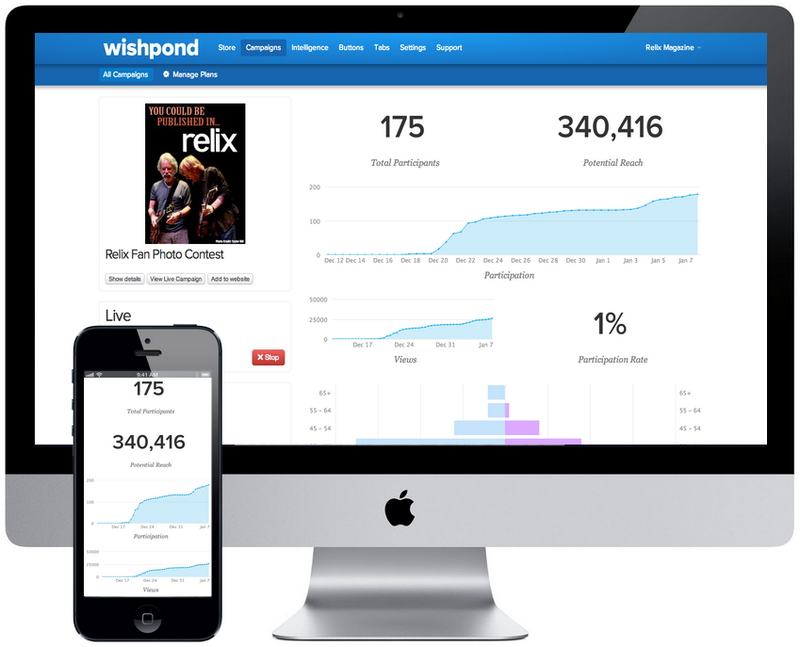 You collect every entrants’ email addresses and personal data inside your Wishpond account. You can then download and export them to your CRM or email service. You can also track campaign metrics in real-time to monitor campaign performance.